Disclosure: I received Transformers Rescue Bots: Heroes on the Scene DVD to facilitate my review. The views expressed in this post are my own. Affiliate links are included in this post. As the mom to little girls, our family’s DVD movie collection was all about princesses, horses, castles, ponies, and knights in shining armor. The shelves of our media cabinet sparkled, glittered, and glowed with pink, purple, silver, and gold DVD covers. Say what you will about gender, girls want to watch DVDs about princesses, princes, castles, ponies. I added movies about animals, dinosaurs, trains, construction sites, and cars to our collection, but my little girls returned time and again to the DVDs about princesses, princes, castles, and ponies. When I became the mom to a little boy, the princesses, princes, castles, and ponies DVDs gathered dust. I would bring the princesses, princes, castles, and ponies DVDs out for family movie nights or afternoon quiet time. My son would watch with his sisters, with our entire family, or by himself. Though he watched DVDs about princesses, princes, castles and ponies, he started asking to watch DVDs about animals, dinosaurs, trains, construction sites, and cars. I couldn’t want to ignore him. He was making his preferences known. My little boy was telling me loudly and clearly what DVDs he wanted to watch. I embarked on a mission. A mission to stock our family DVD collection with DVDs about animals, dinosaurs, trains, construction sites, and cars. The hunt was on. I bought new from Best Buy, Walmart, Target, and amazon. I searched high and low on local Facebook yard sale sites. I was given DVDs from friends and family. Soon our family movie collection was stocked for little girls and little boys. My little boy was so happy to watch his new DVDs. Happier still that he was able to pick his favorite movies to share on family movie nights! Most of you probably know Transformers from the live action movie. Others may know the Transformers from the popular line of Transformers toys. But did you know that there is an animated Transformers cartoon for little kids? 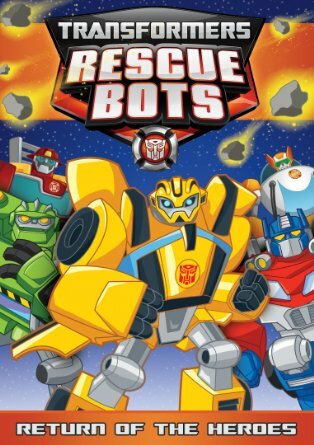 Recently, we found a new DVD to add to our family movie collection…Transformers Rescue Bots. 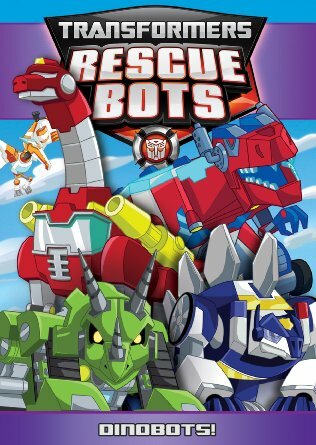 The eight Transformers Rescue Bots DVDs retail for around $9.99 on amazon. Remember how much fun you had watching Saturday morning cartoons? 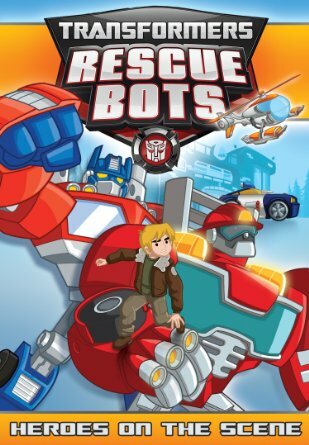 Now your child can watch Transformers Rescue Bots on the Discovery Family Channel. Saturday mornings are fun for little kids! You can also catch Transformers: Generation 1 on Discovery Family Channel on Saturday mornings. Also on Saturday mornings on Discovery Family Channel…Jem and the Holograms, Pound Puppies, My Little Pony, and Strawberry Shortcake.